Many national brands adopt innovation strategies based on frequent launches of new products to defend and grow market shares against private labels. However, retailers imitate the novelties of national brand new products very fast. One of the key questions to assess the effectiveness of national brands' product innovation is to get a deeper understanding of how consumers react in terms of choice when faced with a national brand new product and a me-too private label product. In particular this research explores the effects of consumer innovativeness and risk aversion on this choice in five European countries and the United States. Results show that consumers with higher innovativeness prefer national brands. However, there are significant differences among countries depending on their uncertainty avoidance and risk aversion. A number of articles have analyzed the impact of national brand innovation on private label consumption. For example, Sriram et al. (2007) showed that the introduction of new products by CPG manufacturers positively influences their brand equity, which reduces their vulnerability to the entry of private labels. Pauwels and Srinivasan (2004) also found that when private labels enter a category, national brands adopt a defensive strategy of investing in product innovation that can enhance their competitive advantage and enable a sustainable price premium over the private labels (Abril & Martos-Partal, 2013). Additional findings reveal that national brands’ innovation intensity in a category negatively correlates to private label share (Anselmsson & Johansson, 2009; Martos-Partal, 2012; Rubio & Yagüe, 2009; Steenkamp & Gielens, 2003). As the number of new product launches in an industry increases, the private label category share decreases (Kumar & Steenkamp, 2007). However, depending on retailer power and retailer interest, product innovation effectiveness may vary (Abril & Martos-Partal, 2013). 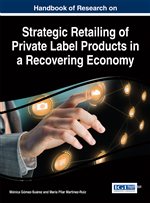 These empirical results confirm that product innovation is an effective strategy for halting the entry of new private labels on the market and for preventing the growth of existing private-label market share (Kumar & Steenkamp, 2007; Steiner, 2004; Verhoef et al., 2002). Manufacturer: A company that produces products or services. Me-Too Brands: A brand designed on purpose to be similar to a leading brand. Innovation: The process of translating an idea into a product or service that creates value or consumers and industry. Consumer Packaged Goods (CPG): A type of good consumed every day by the average consumer. They need to be replaced frequently, compared to those that are usable for extended periods of time. Fast-Moving consumer goods is also a synonym of this term. Consumer: Individual who buys products or services for personal use. He/she makes decisions whether or not to purchase a product. He/she is the primary target of the marketing program. National Brand: The brand name of a product or service produced by manufacturers. Shopper: A person who visit the store in search of products, services or brands. Regulatory Focus Theory: it is a theoretical proposal that examines the relationship between the motivation of a person and the way in which he/she achieves the goal. It has two orientations: promotion and prevention. Retailer: A company that buys products or services to the manufacturers or other retailers and sells them to the final consumers.